I used to be in charge of my kitchen. It was my domain; simply put, I ruled it. My husband does some frying and creative cooking but ultimately; I have full control. Until the kids got bigger. The joy of not having to make lunch for everyone – they can do it themselves! Oh yeah, I’m was determined not to spoil them. These kids I’m raising, I want them to know how to make their own breakfast or lunch and clean up after themselves. I’m a proud non-helicopter mom; I foster independence! And my boys-their lucky wives! I watch admiringly and feel quite proud as my older 5 hustle around the kitchen, preparing their lunch menus. And they are quite creative, complete with secret recipes and sriracha sauce. I sit on the couch and stare, and then it hits me. I know they will attempt to. Of course, I’ve taught them how to clean up after themselves. But I also know that it is I who will pick up the slack. And suddenly it’s not so exciting anymore. I look at the counters; there’s the panini maker, the pop-up toaster, the Ninja blender, the can opener, 2 cutting boards, three knives and half a dozen egg shells. My 6 year old is making his secret tuna recipe that includes every squeeze bottle from the refrigerator, my 7 year old has some avocado concoction going on with half my spice cabinet, my 9 year old is making the perfect grilled cheese sandwich, my daughter is peeling potatoes and my 12 year old, whose appetite seems to be growing by the hour, is making a protein smoothie, 2 bagel sandwiches and some other things I can’t keep track of. And someone is opening sardines. Sure I’m proud of them; and amazingly overwhelmed with the action in what used to be my kitchen. I want them to do this; but do they have to use every utensil I own? And appliance? I hold back from at least 2 dozen “don’t forget to clean up” reminders; I don’t want to spoil their excitement. And independence. But I don’t want to be left cleaning up sardine spills, it’s my absolute pet peeve! I know they’ll clean up. I know there will be slight oversights that I’ll be dealing with. Yucky ones. I want them to this. But I want my kitchen the way I want it. I don’t want them to be asking me to make their sandwiches. But I don’t want to be cleaning 12 bowls and 14 forks that only 5 people used! I know the answer. I know what I have to do. Like everything else in motherhood. We give. We teach. We hope. We pray. And most important of all, we learn to let go. To let go of things being the way I want. Letting go of the reins and letting them be their own little selves. Even at the price of my kitchen. First world problems – wait till you see #9! It’s a problem we as a society are facing and it’s only going to get worse. Even those who claim to be spared will wake up one day and realize they aren’t spared after all. It’s a challenge here, in our first world country, and it’s not easy. You do your routine check up on Facebook. You see a friend posted a picture of a beautiful sunset on whatever magical island she escaped to. She’s a pretty good friend. One you lose touch with every now and then, but thankfully Facebook catches you when that happens. You want to show you are still in touch. And you want to show you are genuinely happy for her vacation, although you’re really feeling green with envy. You start typing “wow!” when you realize the 8 comments above say the same thing, some with three !!! and some with only one; but either way, it feels too scripted to also say “wow!” even if you add another four exclamation points for good measure. So you opt for “Amazing! !”– double !! to show you really mean it and you’re a closer friend than the others. But just as you are typing it, some phantom commenter slips ahead of you and says “Amazing! !” With the double !!. Now what!? Ah-perfect solution. You are a closer friend. So you quickly type “WOW-Amazing! !” and one-up all the other commenters. See, you really are a good friend. But then it gets harder. It’s a close friend but not closest friend but certainly close enough that you don’t want to give away the fact that you’ve forgotten it. So you race to their wall – ignoring the fact that Facebook reminded you, link to wall included – and go for it. You’re going to post a Happy Birthday. Gulp, you’re #16 in line. That does not make you look like a very good friend. Or like you remembered on your own. You go for CAPS, half a dozen exclamation points and call in the reserves – you add a cake, a party hat and some confetti 🎂🎉🎊. There, now you’ve done it. Proved your friendship and your memory. I can’t help but wonder, how were we ever able to express our deepest feelings and sentiments without having an emoji to prove it? The thought that maybe all these years people have been reading my texts and emails wrong is just too overwhelming to think about😩😩! How would someone possibly know you went for a haircut if they didn’t see this 💇?? Or that a picture of a friend eating ice cream is really eating an ice cream and nothing else if it didn’t include 🍦🍧. I mean, I can tell people I’m happy but when they see 😀😃😄 then they know I’m really having a good day. Then there’s the LOL. That is a bit more complex. Well, depends how funny the said statement is. Sometimes it warrants a polite lol. Not that funny. Then there’s the things that really tickle you that you actually chuckle, to which you respond LOL. And then there’s the stuff that’s really hilarious and you LOL!! Followed by 😂- and laugh loud enough for everyone in the quiet room to turn around to give you a look or loud enough to blow your cover and your kids come running, having discovered you’re looking at your phone. And if you get a LOL with this guy 😂- and multiple !!! definitely start looking into doing standup comedy. How about the random message you get that says how are you. In other words, just saying hi because i feel guilty we are out of touch but I’m not really interested in the answer. But what about if it says how are you? Punctuation included; this nuance goes a long way. I’m being polite and dropping you a line. But if you’re really genuine, then you go heavy on the punctuation. How are you?!?!? Have you ever had a friend posts a picture of her adorable two year old covered from head to toe in toothpaste. The kid is really adorable – especially because it’s not your kid and you are not the one cleaning up the toothpaste. “So cute!” you’re about to type. But that doesn’t sound real enough. I mean, this is your friend’s kid, not just a random kid. “Oh my, hilarious!” Nah, you can do better if you really mean it. “Love love love” followed by 😍, and a few more 💗💗💗 to show the mom you feel for her, having to scrub off that gook. One of your friends posts a birth announcement. Yikes, how did you not know she was pregnant, could it be you were out of touch that long? Now is not the time to publicly show that. There’s a picture of the 14 minute old baby, making her debut. Well, all you can see is the tiny nose and scrawny hands sticking out of the ugly hospital blanket. “Ohhhh precious!” you’re about to chime in. Even though the past 96 people say the same thing. You keep it safe and stick with the “ohhh precious!” as it seems to work for everyone else. A friend is angry. The friend is venting to the world that she got stuck behind a slow car on the way to somewhere important and then came late and spilled her coffee on her new shirt. There’s probably details to the story missing, like that this friend also left late, but now is not the time to ask such questions. I mean, this is really a hard spot – they definitely need support. That’s what we are all there for. To support each other through good times and bad. Poor friend. You want to show her some support. A generic “hugs!” is not enough for such a crisis. You opt for the “hugs!” but an extra ! !, and then this guy 👹👹to show you’re also angry at the slow driver she was stuck behind because it’s that drivers fault this all happened and then a 🍺 to show you understand the deeper meaning and relationship of that cup of coffee. Hardest of all are the times that you really don’t know what the poster is trying to say. You don’t know if they are happy or angry, if the food is good or bad, if they are bragging or complaining – you just can’t make heads or tails out of it. And that’s what this is for. Hit the like button and move on. You acknowledged, you showed your presence, and your good to go. Yes, it’s a tough world out there. And it’s only gonna get tougher💪. There is no number nine. But how else are you supposed to get anyone to read anything these days. I had just put my baby back into his crib after nursing and I was almost asleep when the thought jolted me awake. I can’t believe I forgot. Oh no, oh no, I can’t believe it! I forgot to send my daughter with her sweater. I mean, she did have a sweater. Her heavy sweater. But I had put it in her luggage. And at that very moment, she was taking a red eye flight to camp in Toronto and her sweater is in her luggage. What if she’s cold on the airplane?! Oh, how could I do that?? How can I send her on the plane without her sweater?! I glance at my husband, fast asleep and oblivious to my realization. I look at the clock. It’s 3:07 am. I consider waking him to tell him my realization, but then decided against it. There isn’t much he could do about it, either. It’s a red eye flight. She’s flying as a minor. And she must be so cold! I’m sure the kind stewardess gave her a blanket. Yes, she for sure got a blanket. It’s OK that I put the sweater in her suitcase. I can go back to sleep now. Just when I start feeling relaxed, I realize I only sent her heavy sweater. Why didn’t I send the light sweater too?! She took her rain jacket. It rains a lot in camp, so that will be good. The heavy sweater will be useful, but only if it’s real cold. But what if it’s cool enough for a sweater but not that cold for a heavy sweater and it’s not raining so a rain jacket would be annoying…oh why didn’t I pack the regular sweater?! My husband is still sleeping soundly. I consider waking him up again, but decide it’s not urgent enough. I take deep breaths and try to relax, and finally fall into a troubled sleep, dreaming about wet sweaters and rain jackets. After the 37th time I check the camp website, pictures are finally up! I race through them and finally find my daughter with her bunk. She looks happy! She’s wearing her rain jacket. I guess it’s raining. I’m so glad she has her rain jacket. But then I notice the rest of the girls in her bunk. Regular sweaters, not heavy ones. Oh no, I should’ve sent her regular one! It probably wasn’t cold enough for the heavy one so she wore her rain jacket instead. Ugh, how uncomfortable! Wait, maybe it’s raining and she’s the only lucky one with a rain jacket and everyone else is stuck with a wet sweater. Maybe! Yes, that must be it. I relax. Finally, calling day! 11:30 am she calls. Oh, there’s so many questions to ask! But I tell her I won’t ask any questions; just tell me everything you can in these precious 5 minutes. She tells me all the important and not so important happenings. And then I can’t hold myself back anymore; I need to ask. My heart drops. She was cold! Freezing! How could I do this to her?! And then she launches into the details of yesterday’s trip to rollerskating and all the other things they’ve done at camp. She wasn’t traumatized for life. Maybe now is a good time to start facing reality that as they get older, I need to stop micro managing and instead let my kids grow up. Maybe now is a good time to practice letting go. There’s no such thing as having bedtime down pat. And should you ever feel smug that you’ve gotten it down to a science, know that such thoughts do not go unpunished. The very next night will be mayhem. So if you do have a good night, keep it to yourself; don’t start your consulting business just yet. Of course there might be nights of systematic and successful bedtime- but don’t be fooled into thinking you’ve won the bedtime war. The good news is, that although phases do pass, they also do come again. 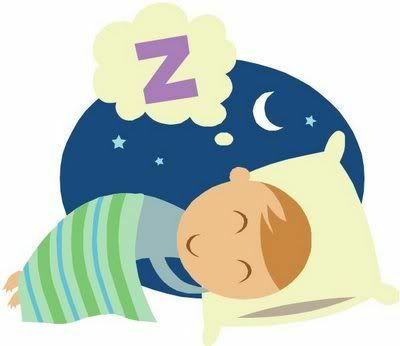 Bedtime used to be a cinch when I had 3 little ones under 3…I’d deposit each one in their respective cribs, kiss them on the nose and close the door…all before 6:30 pm. I’d walk downstairs with the smallest hint of a smile and a tremendous feeling of success at mastering this 43 second bedtime routine. That might be against the rules in the Big Book of Bedtime Rules, but it worked. No long winded story reading or songs that don’t end. We did plenty of that during daytime hours. But that phase is long gone. Because they keep popping out of bed. The two year old used to love being tucked in by 6:30 and then would hang out in his crib, chatting with anyone who passed by or with himself, until eventually he’d fall asleep. But not anymore. After a week of screaming on top of his lungs to come out and begging any favorite sibling to take him out, well, he won. He stays up until the next shift goes. It’s bedtime again. My husbands is out giving a class so I’m heavily outnumbered. I round up the middle division (ages 2-9) and off we go upstairs. They need to be in their bed if they want me stop in and shmooze. I make the rounds and they are all so sweet and charming. I head off downstairs, ready to tackle my to do list of yesterday. I know, I know, I should say wait till the morning. That’s what The Big Book of Bedtime Rules says, but here in this house, sometimes saying yes is a shortcut. Please don’t tell on me. Off he goes to get a drink. Or at least it seems like he’s going in that direction. My 7 year old appears. He’s hungry. I hear noise in the other room. It’s my 6 year old again. He forgot he was getting a drink and is now busy looking for his marbles. He starts giving me some lengthy explanation of the urgency of his marbles. I remind him to tell it to me tomorrow. 6 year old and 7 year old head upstairs. And now my 4 year old joins me in the kitchen. “Can you read me a book? He knows there’s nothing to discuss so he tries something else. He takes a drink and heads up stairs. And my six year old is back. Whatever. I can’t get into it. My nine year old is calling me. He can’t fall asleep with everyone making so much noise. 7 year old is back. He needs to find his papers for tomorrow. I remind 6 year old and 7 year old that they are sleeping. They turn to go upstairs and have a direct collision. They’re both crying as loud as possible and out comes the ice in the shape of frozen hot dogs, to ease their bruises. My four year old is back. He doesn’t want to sleep on in his bed. My nine year old come to tell me again that he can’t fall asleep. And so I say one of those so-mother things; if you guys don’t want to go to sleep, I’ll go instead! Time for the two older ones to go up. They make their way upstairs and the party starts up once again. And the light in one of boys’ rooms is on again, for the tenth time. Thankfully, the 2 year old is just running a stream of commentary from his crib, minding his own business. And the baby is sleeping. So bedtime is not a total disaster. See, you do still have a handle on it after all, I tell myself, trying not to feel incompetent. Even if the Big Book of Bedtime Rules for Successful Mothers has different rules than me. And it continues. Every time one gets in, someone else is out. And I hear too much paper rustling coming from there. More than one person is reading. Then there are those nights where it just works like a charm. We go upstairs. Everyone gets in bed. They look so sweet and innocent. I make my rounds and kiss everyone good night. The big kids quietly make their way upstairs at 9 and everything stays nice and calm. I wipe down the counters, just like the moms who follow the Big Book of Bedtime Rules probably do after they finish their successful bedtime routine. I look at the clock. 9:05 pm. It’s quiet. Maybe I’m one of those successful moms after all. But deep down, I know something is going on. I know why it’s quiet. I know it’s not because I have it down pat. It’s not because I followed the magical Big Book of Rules. But I shush that voice. I’m enjoying the moments of feeling successful. 10:05 my 4 year old quietly makes his way down the steps. He has a sly smile on his face. “They’re playing cards,” he whispers to me. I hear the laughing and the chatter. Of course, when they play at 10 pm when they are supposed to be sleeping, they all get along so well. I continue to mind my own business. I know they will go to sleep eventually. And they’ll be tired tomorrow. And it’ll be ok.
Hopefully the Successful Mothers of The Big Book of Bedtime Rules won’t find out. Or better yet, maybe I should just rewrite the book, my own way. The way that suits me and my family. I’ve discovered the perfect workout that incorporates mind, body and soul. It uses every part of one’s being; there’s movement, there’s memory stimulation, there’s creativity, there’s cardio benefits…you name it, it has it all. It keeps your body young and your brain strong. It’s called making snack and lunches for your kids to take to school. Of course every mom knows that to be most efficient, snacks and lunches are to be made the night before school. It’s not rocket science; it’s common sense. But despite that, I often still don’t do it in advance. Quite frankly, by the time everyone is in bed and supper is (more or less) cleaned up, the last thing I want to do is get back in the kitchen and start all over again. I’d much rather plop on the couch and do nothing. Or sit down with my husband and have a tea. Or make a list of all the things I didn’t get to on that day. But I definitely do not want to make snacks and lunches. And so I willingly choose the inefficient way. And it really is the best all body and mind workout you can ask for. The day starts bright and early and I begin the marathon routine as soon as I get into the kitchen. “Ok guys, do I have it right,” I ask for the fifth time, as I rotate between the fridge, oven and counters. And so we go through it all again. My hands move, my mouth talks, my brain calculates and dictates and my feet keep running. I quietly sneak them into everyone’s lunches anyway, hoping I won’t get caught. They tell me they need 5 snacks because they get sooooo hungry. I tell them it’s ok to be hungry. It’s my latest experiment recipe of well disguised banana muffins…I know I’ll get caught but I still casually add them to the lunchbags. Chummus or gaucamole…I can’t seem to remember who wants which one. Three want peanut butter, two want regular, two don’t want. Three want plain, two want hot and spicy and two want both – well today we are giving out plain. 7 lunchbags in all different colors, standing straight like soldiers, hoping not to be left at home. They’ll still tell me they were hungry. I’ll tell them it’s ok to be hungry. They’ll tell me they were starving. I’ll say that’s fine; starving people eat whatever food they have, even if it’s their granola bar that they refuse to touch. There’s a rhythm to it all, and my workout finally winds down. True, it’s not the most efficient system. But who says everything in life has to be done efficiently.